Last month, I decided to an ad-hoc charity drive via Twitter. I did it figuring I might get a handful of donations between $5 and $25 dollars and would help out some animal charities. Boy was I shocked. Right out of the gate, Steve Syfuhs donated $35 to the ASPCA for directly helping them previously. Almost at the same time, Steve Ragan donated $130 to Greenwood Wildlife Rehabilitation to help over 3,000 wildlife they get there a year. Wildlife rehab shops are vanishing around the U.S. as they don’t receive any state or federal funding, and rely entirely on donations and fundraising. 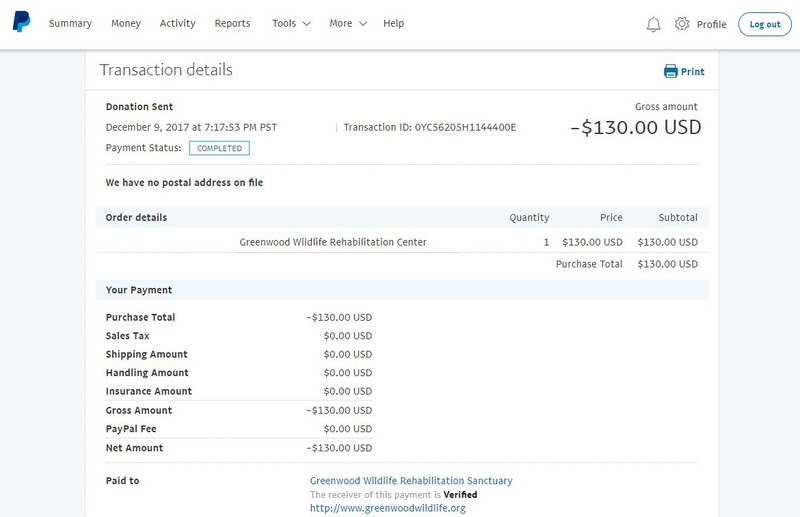 Along with Ragan’s donation, ‘Priest’ (@imyourpriestt) donated $75 to the Georgia Society of for the Prevention of Cruelty to Animals. With the ‘Steves’ quickly donating, I decided that at least three people would receive something from me in return for their generous donations. Before that Tweet could land, Doc Panda showed that he donated $50 to the Tiny Paws Pug Rescue, which is epic because Pugs are epic. By this point, I was working on expanding the rewards and decided that first place would get a box, not an envelope, and kept baiting for more donations. Then it hit, someone donated over $300 to a charity as part of this ad-hoc contest. That donation to Cavy Care is amazing, because it is run by two people out of their house, with help from volunteers on weekends primarily. In the past, they have had as many as 150 guinea pigs that needed care for various reasons, usually because they are adopted as a pet for children, and they aren’t suitable for kids despite that notion. Guinea pigs are rarely adopted from animal shelters as they tend to be adults with unknown provenance or age. Cavy Care provides a sanctuary for these guinea pigs, and adopts them out very cautiously to ensure that the gpiggie finds a forever home. 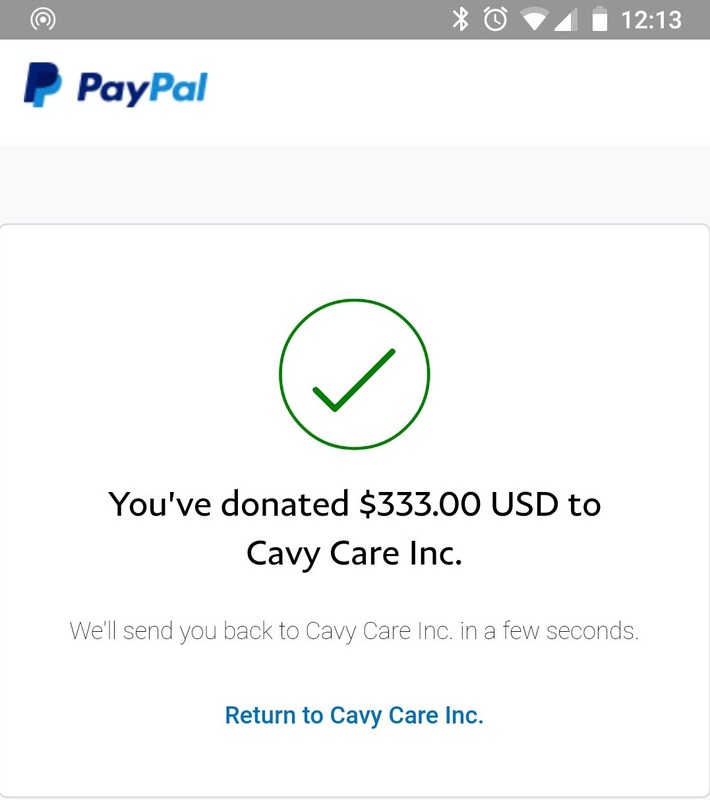 Cavy Care was pleasantly surprised at the sudden huge donation! 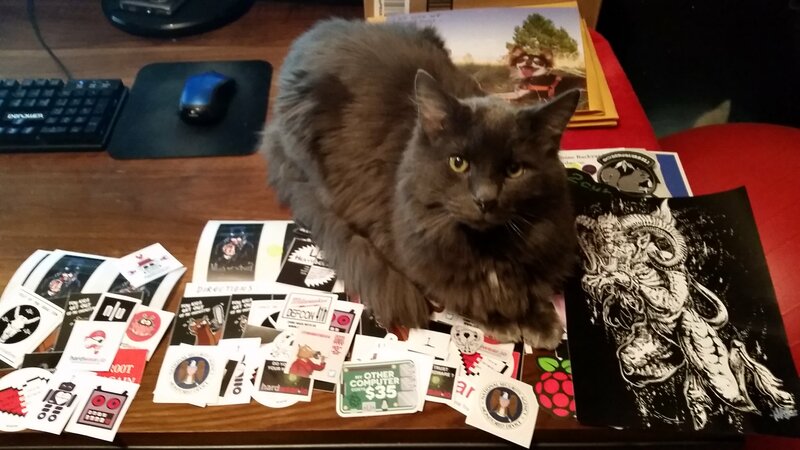 One Friday night, five amazing people, and $623 donated to charity in exchange for stickers originally. I think I sent out three boxes of stuff to the top three, and large envelopes to the other two. I cannot thank these people enough, and I hope that more will follow in these footsteps. InfoSec tends to draw large salaries. We all love our toys and our lifestyles, me included. But I think it is important that we stop a few times a year and look to help others that could benefit from our generosity.